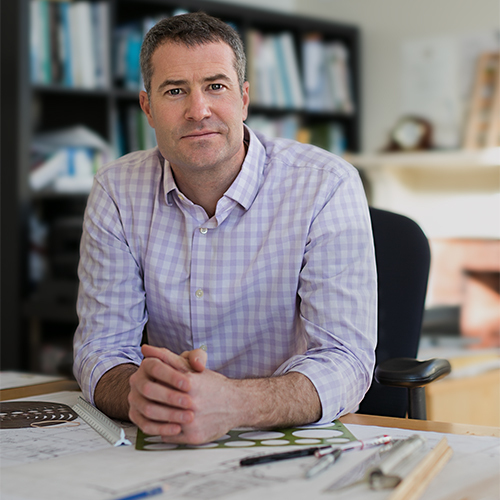 At Ulrich Bachand Landscape Architecture, LLC (UBLA), partners Matthew Ulrich and Rebecca Bachand combine broad experiences in residential and healthcare design, campus master planning, commercial, and educational projects. Working within a network of architects, engineers, and allied professionals, our goal is to provide a full range of design and construction administration services offering creative solutions for projects of all sizes and scope. We have extensive experience designing, detailing, and providing construction phase services for single family residences throughout Massachusetts. We are artists, creative site planners and experienced professionals working in a collaborative studio environment. A LEED accredited professional, I have been actively involved in the field of landscape design and construction for over 20 years. Since the creation of UBLA in 2010, I have expanded my talent for intimately scaled place-making to include design for larger commercial, office, healthcare, education, and affordable housing clients. Registered to practice in MA, CT, RI, & NH, I work throughout the region, bringing a broad design background and experience with all phases of development to your Design Team. In 2017, I formed RBLA Design LLC, a Massachusetts certified Women Business Enterprise (WBE) and Disadvantaged Business Enterprise (DBE) focused on Multifamily & Affordable Housing and Assisted Living Design. If you have a residential, commercial, or institutional project, or would just like your property researched for development opportunities, we'd love to learn more about you.